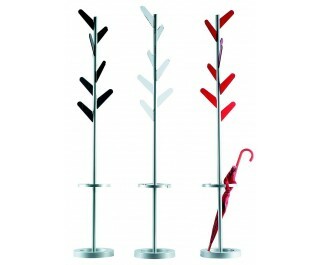 Clothes hanger and umbrella stand. Upright and base of painted metal. Hooks of polished methacrylate, available in red, black, transparent and opaline white color.